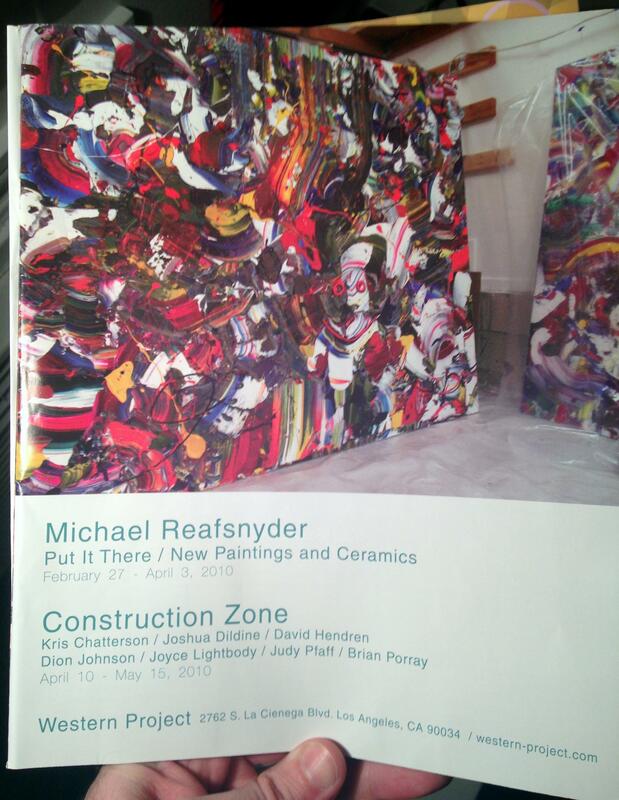 An art magazine arrived in the Martian Mailbox with this full page ad (below) featuring paintings by Michael Reafsnyder. Since we don’t yet have the space to produce large-scale abstract expressionist canvases like this, we just drew one. Thus, imaginary studio. Besides gigantic canvases full of splashy splattery modern art, our imaginary studio also contains Ellie the studio cat, random sculptures, and a giant work-in-progress of the Silver Surfer zooming in front of a sun. 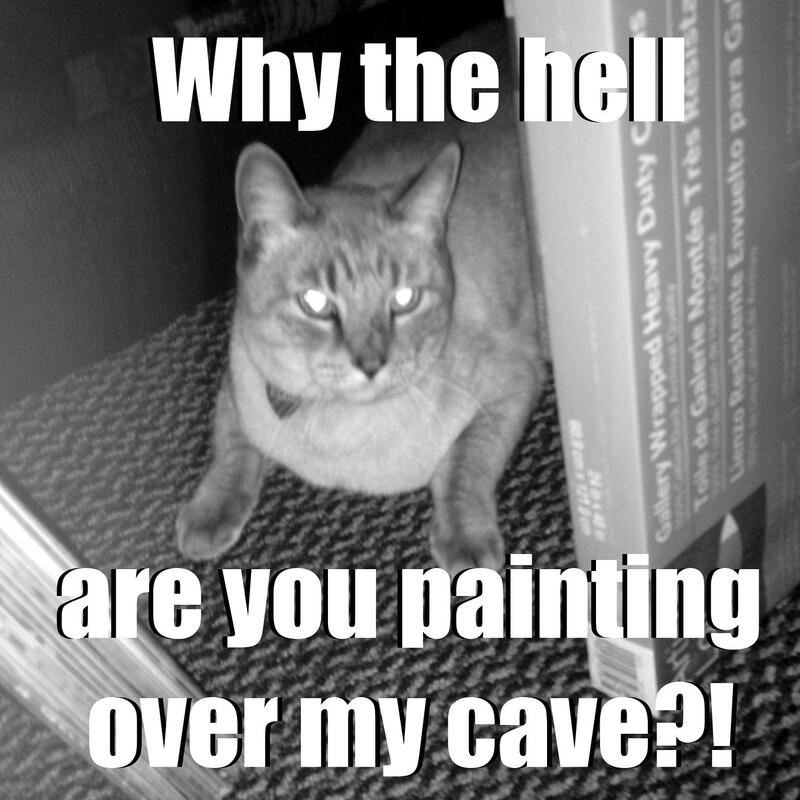 Ellie the studio cat cares less about what goes on the canvases than about how fun it is to make cat forts out of them.